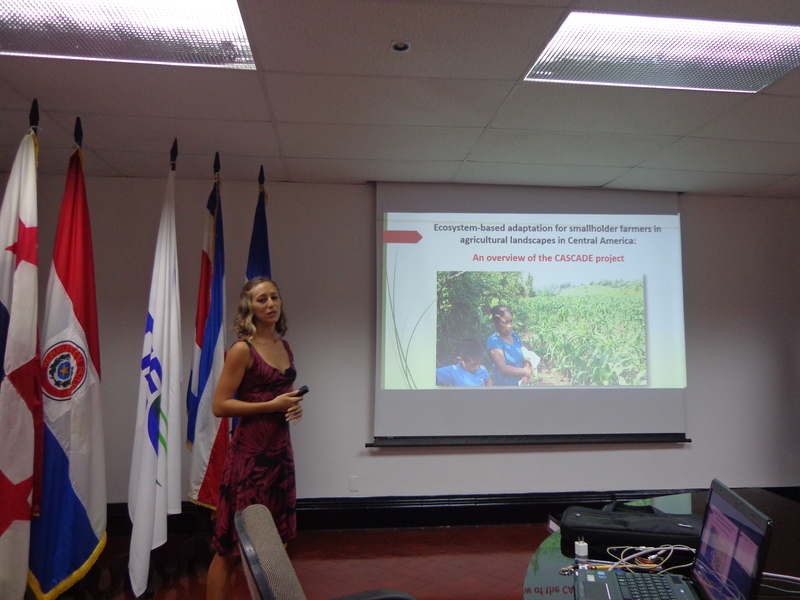 The objective of the participation of CASCADE during the meeting was to showcase CATIE’s Research Division’s work in the region and the impact of these research projects in terms of Climate Change Adaptation of farmers. The presentation kicked off with a welcoming and introduction from EfD-CA Center Director Francisco Alpizar, followed by the presentation led by CASCADE Project Coordinator Bárbara Viguera, presentation gave an overview of the Project, some preliminary results on climate modelling and accomplishments of the project in the region, specifically con capacity building efforts. Participation and interest from board members during the presentation made a more dynamic environment. 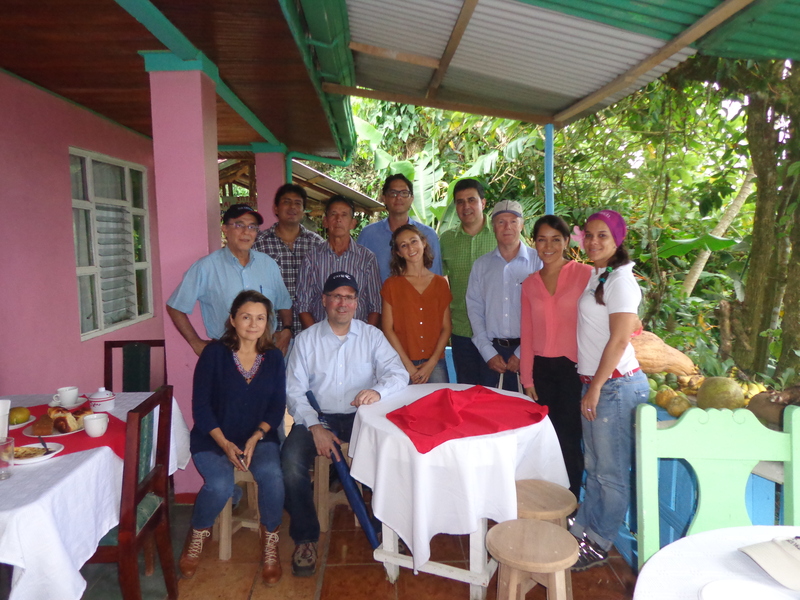 After the presentation, attendees participated in a field trip to visit Don Bernardo’s small coffee farm. Bernardo is a humble farmer and has dedicated most of his life to agriculture. He owns a two-hectare farm where he is implementing strategies such as diversification, use of live fences or soil cover (EbA practices) to make his farm more sustainable and resilient. 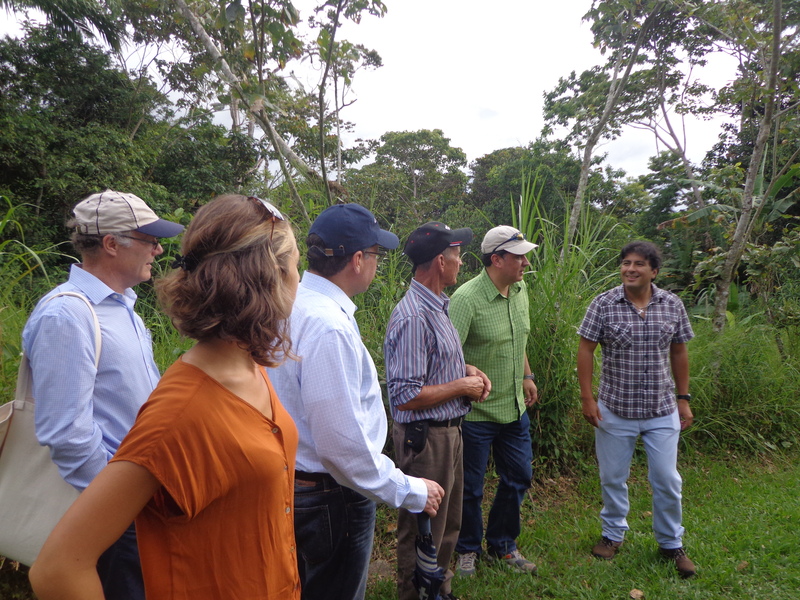 This farm was selected in the sample of the CASCADE Project and is also part of other CATIE research projects. The presentation and field trip was considered a success and Board Members where thankful to be shown CATIE’s and specifically EfD-CA’s research projects in the region. For more information on the CASCADE Project click here.